Previously, the Social Security Agency (SSA) sent all working Americans an annual statement about three months before their birthday. The statement included one's lifetime earnings record, as well as estimates of retirement, disability, and family survivor benefits. It also reported earned credits, which indicated if you would qualify for Medicare at age 65. • The Retirement Estimator gives estimates of your retirement monthly benefit, based on your actual Social Security earnings record. The estimator shows early (age 62), full (ages 65-67 depending upon your year of birth), and delayed (age 70). The Retirement Estimator also lets you create additional "what if" retirement scenarios based on current law. • If you do not have an earnings record with Social Security or cannot access it, there are also other quick calculators that do not tie into your earnings record. 1 The calculators will show your retirement benefits as well as disability and survivor benefit amounts if you should become disabled or die. 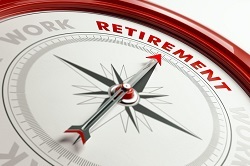 Social Security should be a part of your retirement income planning. Make a point of checking out your estimated benefits at least annually so you know how much to expect -- and how much you'll need to provide from your own savings. One question to consider as you begin to develop your retirement strategy is to know when you should begin collecting Social Security? The answer depends in part on how long you think you'll be around to collect it. Those choosing to collect before their normal retirement age face a reduction in monthly payments by as much as 30%. A growing number of Americans have chosen to delay their planned retirement date due to job and savings losses. Postponing retirement not only means working longer, but also delaying when you start collecting Social Security. Currently, workers can begin collecting Social Security as early as age 62 and as late as age 70. The longer you wait to start collecting, the higher your monthly payment will be. Your Social Security monthly payment is based on your earnings history and the age at which you begin collecting compared with your normal retirement age. This normal retirement age depends on the year you were born. For those opting to delay collecting until after their normal retirement age, monthly payments increase by an amount that varies based on the year you were born. For each month you delay retirement past your normal retirement age, your monthly benefit will increase until you reach age 70 when monthly benefits will stop increasing even if you continue to delay taking benefits. The most important thing you can do to help secure a financial future that aligns with your goals is to begin planning today. Your financial planner can help you get started with a free, no-obligation appointment.